4: ASCE OC - Annual Awards Night 2018 "Beneath the Stars at Bowers"
By Remi Candaele M.S., P.E. 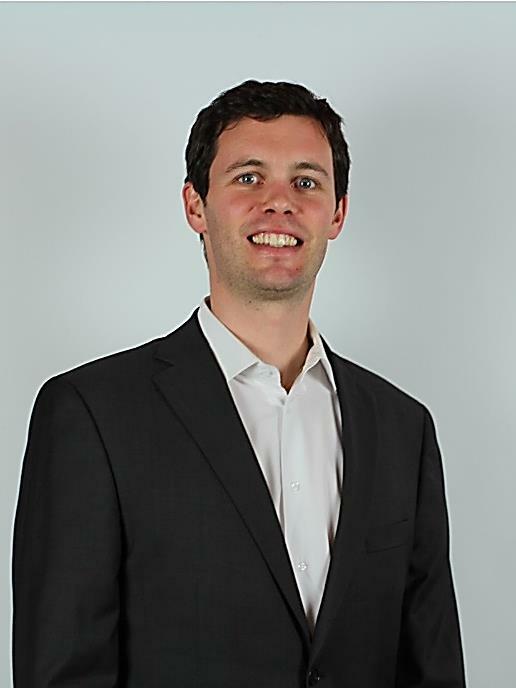 In February 2018, the ASCE OC EWRI Committee welcomed Ben Smith, Project Manager at the Orange County Water District (OCWD), and Mike Tsoi and Erin Cabanero, who both served on the consultant design team, to speak on the Mid-Basin Injection at Centennial Park project. 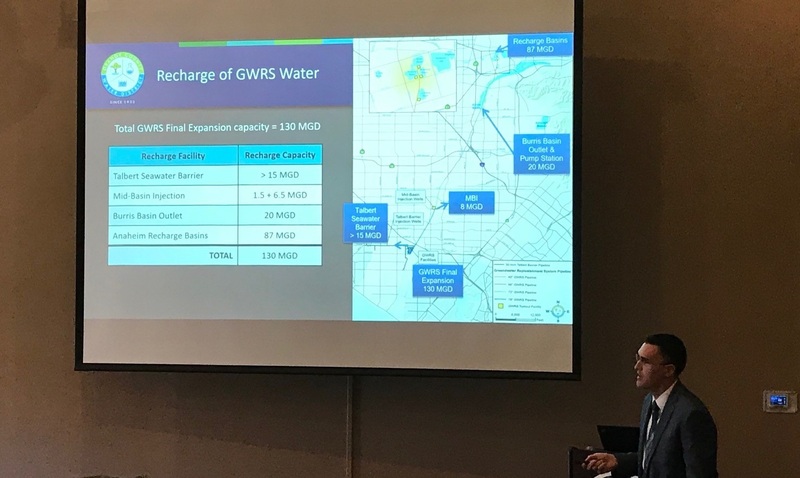 Mr. Smith began the presentation with an overview of both completed and ongoing Groundwater Replenishment System (GWRS) projects to highlight the location of the recharge systems, including the Anaheim recharge basins, the Mid-Basin injection system, the Burris Basin Outlet, and the Talbert Seawater barrier. 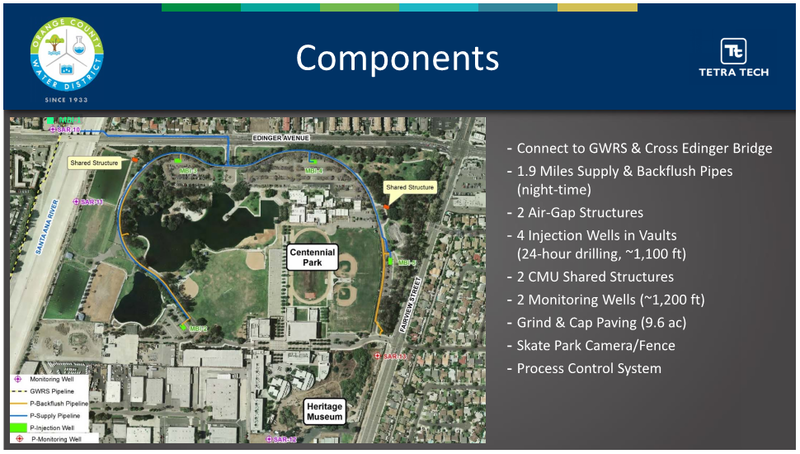 Implementing the Mid-Basin injection system at Centennial Park is key because it will recharge the GWRS with 4 wells only, while reducing well pumping energy that would otherwise be consumed in conveyance to the Anaheim basins. One critical design component of the project is the 30” pipe crossing the Edinger Avenue Bridge. The City of Santa Ana requested that an aesthetic and protective cover be installed. Orange County Public Works reviewed the elevation of the pipe to clear the USACE 408 Permit process. Mr. Tsoi and Ms. Cabanero discussed the selection of piping material based on life expectancy considerations, including epoxy-lined and CMC steel pipe. All injection wells are located within belowground vaults, and include both the supply line and the backflush line that discharges to the existing lake. Because of the adjacent school, park goers, and residential areas, 24-foot tall sound walls were installed around the drilling well. Mr. Tsoi mentioned that two of the proposed structures are shared with public facilities (office, bathroom). The presentation concluded with an overview of the critical project components. Construction took place during night hours, when adjacent schools were closed. The ASCE OC EWRI Committee would like to thank Dave & Busters of Irvine, Ben Smith, Mike Tsoi, and Erin Cabanero for an insightful presentation that was well received by approximately 40 attendees.